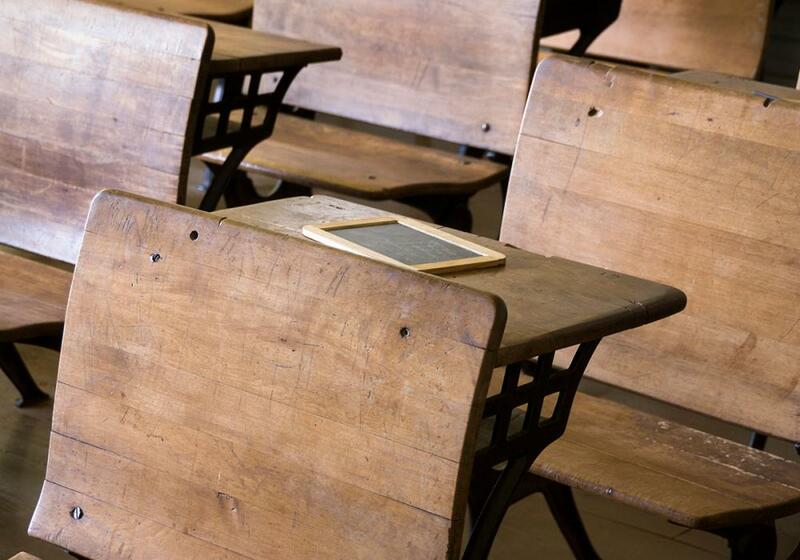 Much about schooling has changed since the 1800s. The curricula, seating configurations, and discipline methods have changed; and so have books, tech­nology, and many other resources. Unfortunately, one thing has not changed: the amount of time young students are required to sit in the same chair. Just imagine, during the school year, being seated for about seven hours on a hard chair every single day. Imagine being 7 years old and being told to remain seated and still while doing your work! 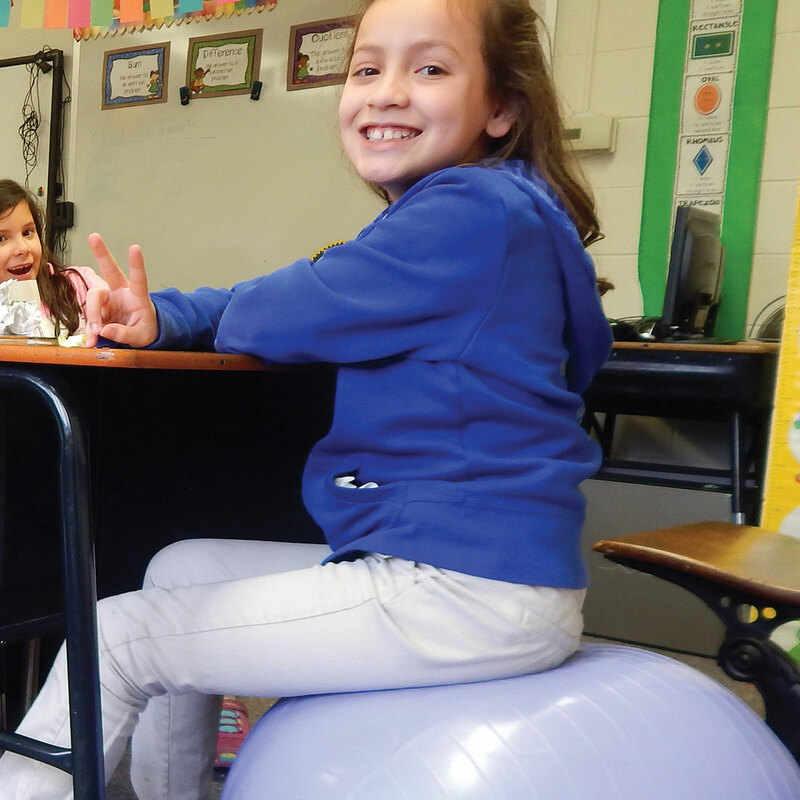 While for generations students have been expected to do this, current research in the areas of movement and learning shows that children need and deserve flexible and alternative seating in an environment where they spend almost the whole day five days a week. Recent reports on the dangers of sitting for long periods of time1 combined with readings from Counsels to Parents, Teachers, and Students about the need to preserve mental strength and exercise all organs while studying2 led me to consider how I might integrate flexible seating options for my students. I truly believe that in educating young people, teachers need to combine physical and mental activity.3 So I decided to join the many teachers globally who are changing the way children learn at school. As a teacher, I believe that providing flexible, soft seating alternatives for children will enable them to move, release their energy, and feel happier and more comfortable while doing their work. Now, just imagine that students come to school knowing that they will be learning in a movement-friendly environment. They need and deserve to feel at home. After all, school IS their second home! When Kayla Delzer decided to renovate her classroom, even before she purchased a single item, she thought about why she was taking this step. She says, “If we truly want to prepare our students for the real world, we need to put them in responsive, dynamic environments that reflect life outside of a traditional classroom. And what’s that life outside like? Full of choices.” Delzer remembers “ditching her desks” to avoid “the cemetery effect.”16 She cleared out tables, her desk, several chairs, and file cabinets, and explored ways to redesign her classroom. The result was a flexible seating plan and more open floor spaces to accommodate whole- and small-group instruction; stand-and-work tables; crate seats, stability ball chairs, core disks, and pillows. Her students now use work bins and supply baskets to store folders, math journals, and other personal items. One teacher noted that in a flexible seating plan, students took fewer unnecessary trips to the bathroom and water fountains, and readily moved when they needed to remain focused. Being able to move away from other students who may have been distracting or bothering them resulted in a lower incidence of quarreling and off-task behavior.21 For flexible seating to produce this type of result, attention must be given to classroom-management procedures. 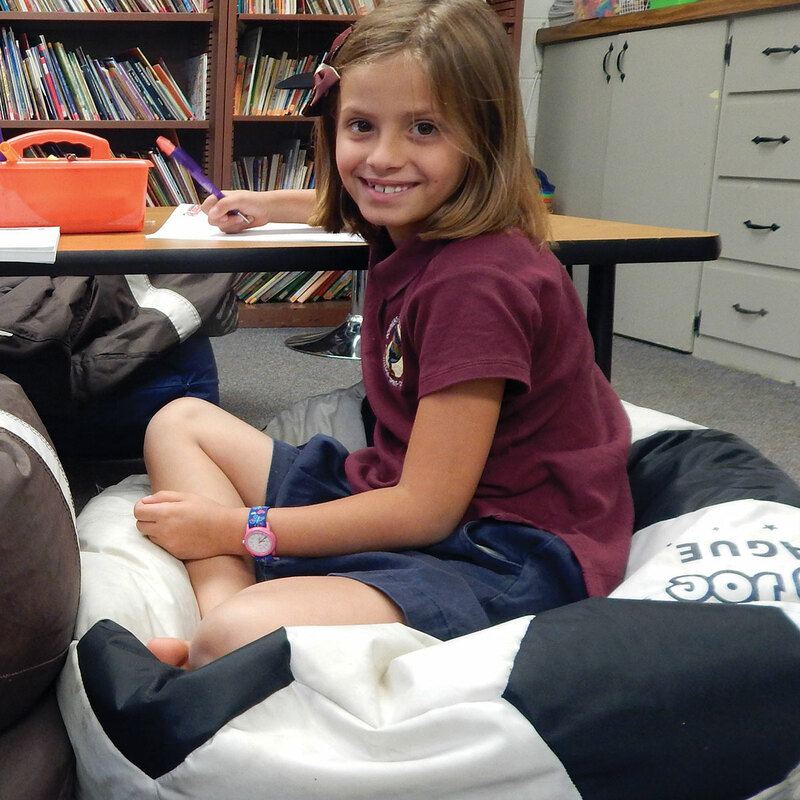 After securing support from my school administration, I began by communicating with parents through e-mails and letters that described my desire to incorporate flexible seating into my classroom. Their support was overwhelming. Although my students were unfamiliar with the term “flexible seating,” as I described the arrangement and the reasons for the change, they were thrilled. Together, we started looking at pictures of seating options and brainstorming ideas for new decorations. We reflected about our sedentary habits and how flexible seating could help us better concentrate and relax while doing our work. My students participated in the fundraisers for the project, which gave them a sense of ownership. I also involved them in the decision-making and executive-functioning process. Assembling the equipment was a team effort (my family, students, and other volunteers). We logged many hours planning, trying the new equipment, moving things around, improving the appearance of the classroom, writing thank-you notes to those who supported our fundraising, doing presentations for visitors, and demonstrating how flexible seating works. After all the equipment was in place, we needed to decide how to use it, so we came up with the plan of rotations. Every student had the opportunity to claim the same seat twice every week. They also could choose to lie on their stomach or their back in designated areas of the classroom whenever they felt like it, as long as that choice was helpful to their school work. They knew they could choose where to sit to feel more comfortable or relaxed, but that the teacher could change their spots(s) if they became distracted while doing their work. I am proud to say that I have trusted my students, and they have lived up to my expectations. Over the past year, I have observed that my students in the new seating arrangement learned to act responsibly whether working individually or collectively. They became more aware of their own learning styles and of the spot(s) that would guarantee them deeper concentration, according to the type of work they had been assigned. I noticed that my class became quieter and more focused on their work. 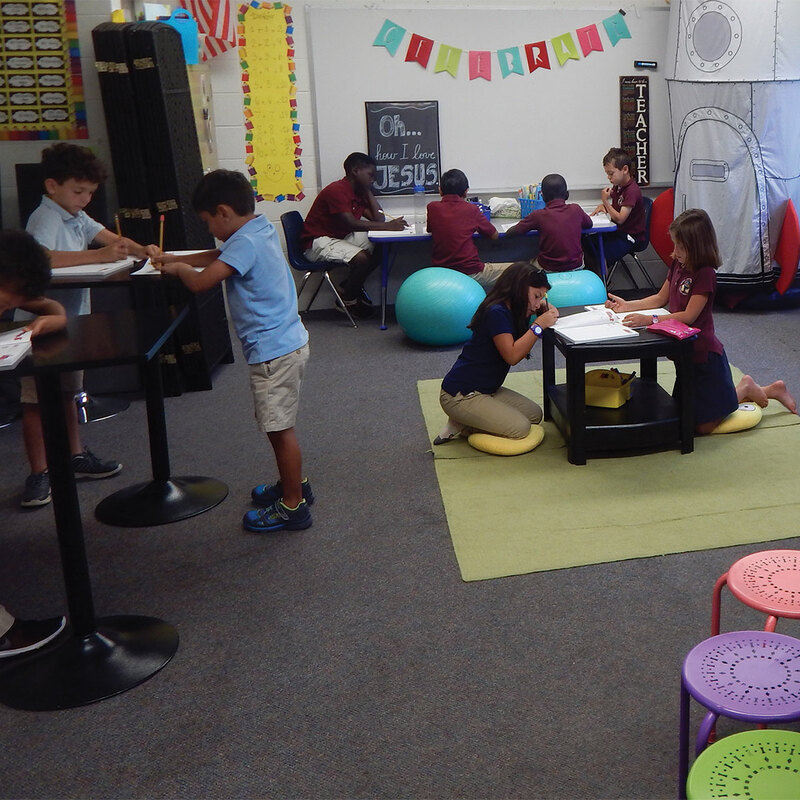 They had the opportunity to become more relaxed and thus maintained better focus with the flexible seating arrangement. They didn’t have to move out of their place as much as they used to, since they could move in place instead. This helped everybody to better focus while enjoying more tranquility in the classroom. Although this project did not directly target student learning, it certainly impacted it. I have observed improved student attitudes toward school, the classroom environment, belongings in the classroom, school work, team spirit, classmates, teamwork, and the teacher! Future plans include studying the effects of flexible and alternative seating on learning outcomes. Although the world is changing, many classrooms remain much the same. Year after year, students experience the same learning environments. Rethinking how we use classroom space is one way to help students exercise choice and control over their own learning. Yanina C. Jimenez, B.S., teaches Grades 1-4 at Downers Grove Adventist School, Downers Grove, Illinois. 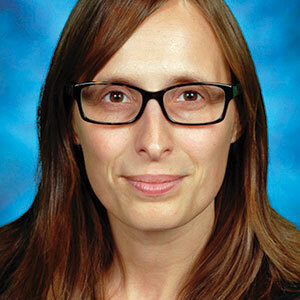 She earned her bachelor’s degree in education from Universidad Adventista del Plata (River Plate Adventist University) in Entre Rios, Argentina, and is currently finishing a Master’s degree in Curriculum and Instruction at Andrews University in Berrien Springs, Michigan. Visit her blogs for more information, ideas, and resources for teachers who are interested in starting a flexible classroom: https://flexibleseatinginclassrooms.wordpress.com/ and https://wecelebratelearning.wordpress.com/. Her e-mail: yjimenez@ilcsda.org. JustStand.org, “The Science of Sitting and Standing”: http://www.juststand.org/tabid/636/language/en-US/default.aspx summarizes key findings on the topic and provides links to PDF articles, studies, and case studies with applications to education. Unless otherwise noted, all Websites in the endnotes were accessed September 1, 2015. Ellen G. White, Counsels to Parents, Teachers, and Students (Mountain View, Calif.: Pacific Press, 2011), 281. She notes that many life-long diseases and illnesses begin in the school room where poorly constructed seats obstruct the functioning of the lungs, heart, nervous system, and lead to poor thinking. See Ellen G. White, True Education (Nampa, Idaho: Pacific Press, 2000), 125-129. Health Corps, “Sitting Too Long Is Bad for Kids’ Health” (November 2015): https://www.healthcorps.org/sitting-too-long-is-bad-for-kids-health/. Len Kravitz, “Too Much Sitting is Hazardous to Your Health?” IDEA Fitness Journal 6:9 (October 2009):14-17: http://www.unm.edu/~lkravitz/Article%20folder/sitting­ UNM.html. Gretchen Reynolds, “Sitting Is Bad for Children, Too,” New York Times (September 2015): http://well.blogs.nytimes.com/2015/09/23/sitting-is-bad-for-children-too/; Ali McManus et al., “Impact of Prolonged Sitting on Vascular Function in Young Girls,” Experimental Physiology 100:11 (November 2015): 1379-1387. doi: 10.1113/EP085355. Mayo Clinic, “What Are the Risks of Sitting Too Much?” Answers from James A. Levine, M.D., Ph.D. (2015): http://www.­ mayoclinic.org/healthy-lifestyle/adult-health/­expert-answers/sitting/faq-20058005. Ibid. ; ________, “Non-exercise Activity Thermogenesis (NEAT),” Best Practice and Research Clinical Endocrinology and Metabolism 16:4 (December 2002):679-702. Eric Jensen, “Moving With the Brain in Mind,” Educational Leadership 58:3 (November 2000):34-37. For many years, the impact of posture on behavior has been of interest to education researchers. Two foundational studies are J. A. Easterbrook, “The Effect of Emotion on Cue Utilization and the Organization of Behavior,” Psychology Review 66:3 (May 1959):183-201; and M. Eastman and E. Kamon, “Posture and Subjective Evaluation at Flat and Slanted Desks,” Human Factors 18:1 (February 1976):15-26. More recent studies address similar concerns: Mark E. Benden et al., “The Impact of Stand-Biased Desks in Classrooms on Calorie Expenditure in Children,” American Journal of Public Health 101:8 (August 2011):1433-1436. Howard Gardner, The Disciplined Mind (New York: Simon & Schuster, 1999). Robert E. Thayer, The Origin of Everyday Moods: Managing Energy, Tension, and Stress (Oxford University Press, 1997). Nicole Brekke-Sisk, “Standing-room Only in Classroom of the Future,” Mayo Alumni 42:3 (Summer 2006):3-5: http://www.mayo.edu/pmts/mc4400-mc4499/mc4409-0906.pdf. Kayla Delzer, “Why the 21st Century Classroom May Remind You of Starbucks” (October 2015): https://www.edsurge.com/news/2015-10-01-why-the-21st-century-classroom-may-remind-you-of-starbucks; ________, “Flexible Seating and Student-cen tered Classroom Redesign,” Edutopia (April 2016): http://www.edutopia.org/blog/flexible-seating-student-centered-classroom-kayla-delzer; Tom Murray, “Beyond Ditching the Desks: Nine Creative Ways to Avoid the Cemetery Effect for All Classrooms” (August 2015): http://thomascmurray.com/cemetery effect/. Albemarle County Public Schools, “Flexible Classrooms: Providing the Learning Environment Kids Need,” Edutopia (August 2015): http://www.edutopia.org/practice/­ flexible-classrooms-providing-learning-envi ronment-kids-need; Jennifer Gonzalez, “Classroom Eye Candy: A Flexible-seating Paradise” (November 2015): http://www. 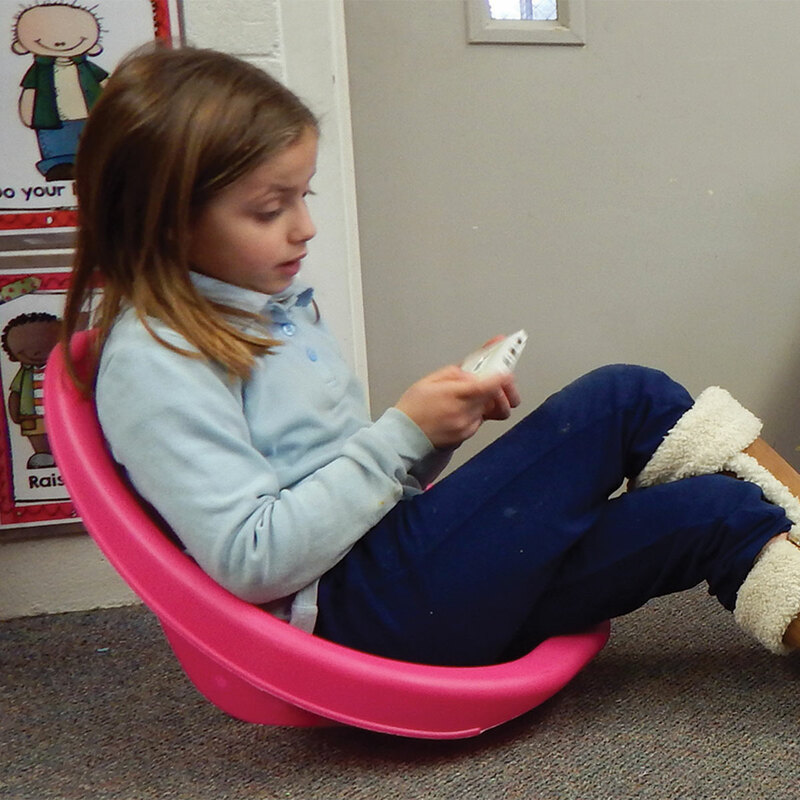 ­cultofpedagogy.com/flexible-classroom/; Lindsey Petlak, “Functional, Flexible Classroom Seating Options” (November 2015): http://www.scholastic.com/teachers/top-teaching/2015/11/functional-flexible-classroom-seating-options. 19 Amy Emnett, “Letter to Parents About Flexible Seating” (2015): http://mrsemnettsclass.weebly.com/alternative-seating.html. Carol Ann Tomlinson, “Strategies for Managing a Differentiated Classroom,” in How to Differentiate Instruction in Mixed-Ability Classrooms, 2nd ed. (Alexandria, Va.: ASCD, 2001):32-38: http://www.ascd.org/publications/books/101043/chapters/Strategies-for-Managing-a-Differentiated-Classroom.aspx. Brekke-Sisk, “Standing-room Only in Classroom of the Future,” 3.